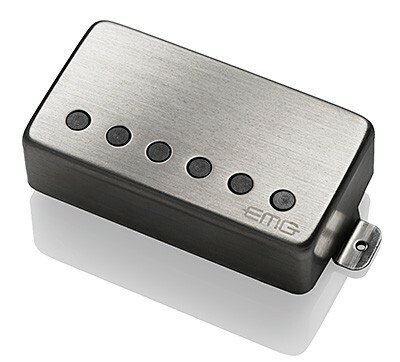 57, Humbucker guitar pickup from EMG in the Active series. EMG has announced new Alnico V humbuckers. 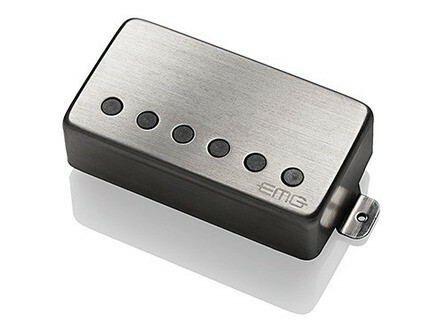 http://www.premierguitar.com/Stream/StreamImage.aspx?Image_ID=FE09B02C-0B1A-4B29-8AA7-96E22F05BA94&Image_Type=imageThe new 57 active humbucker from EMG is a bridge pickup suitable for any genre. It combines Alnico V magnets combined with steel pole pieces. The new 66 active humbucker was designed specifically for the neck using Alnico V magnets together with ceramic pole pieces to create a rhythm pickup described as full and open. The 57 and 66 are currently available in EMG’s brushed stainless steel cap.